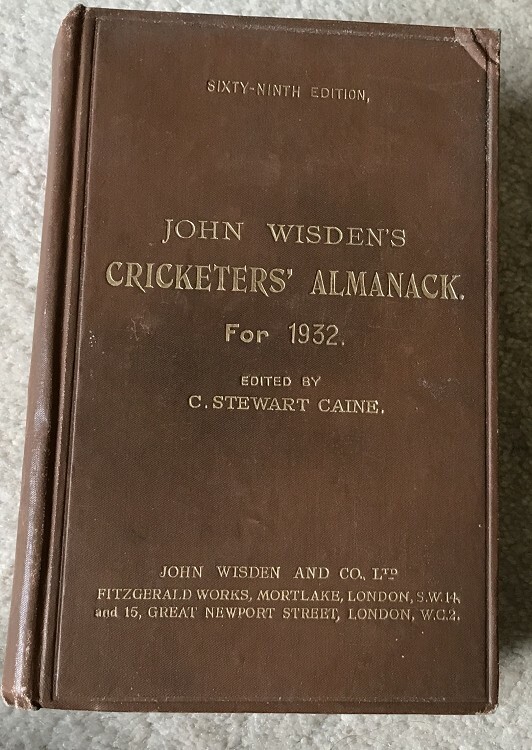 This Wisden is a very nice book , a couple of small marks to the boards which are very good, the hinges are very strong as is the gilt, super shiny. Nice spien cloth for the year (no lines) and nice clean pages inside. Excellent photoplate. My 2000th hardback!